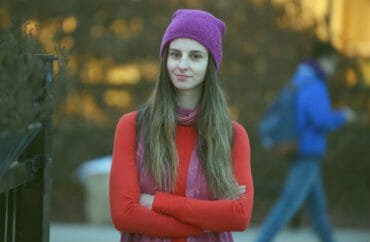 There are “ominous” signs that Wilfrid Laurier University’s independent fact-finding investigation of the Lindsay Shepherd affair is aiming its guns at none other than Lindsay Shepherd herself. Shepherd is the 22-year-old graduate student and teaching assistant who last month was reamed out by her supervisors for having shown two classes a video excerpt of the controversial University of Toronto psychology professor Dr. Jordan Peterson discussing the new gender-neutral pronouns in a televised debate. Now, the National Post has learned, despite public proclamations that suggest the investigation is aimed at merely gathering the facts of Shepherd’s browbeating, the investigator himself says he has been “retained to an independent, confidential fact-finding exercise with respect to employment-related matters” arising out of the Shepherd tutorials. As a TA, of course, Shepherd is an employee of the university. In none of University president Deb MacLatchy’s several press releases on the subject was there any mention of the investigator’s task being employment-related. Howard Levitt, the well-known Toronto employment lawyer who represents Shepherd pro bono, wrote Rob Centa, the lawyer Laurier hired to conduct the investigation, last weekend, asking for the details of the complaint or complaints made against her. But perhaps most surprisingly, Centa also answered Levitt’s question about the terms of his mandate by saying it is an employment-related matter. Centa told the Post Wednesday evening in a brief phone call that he appreciated the opportunity to comment but “there’s nothing I can say,” including answering the question the Post put to him, which was, “Whose employment” is he investigating? But Levitt isn’t the only one troubled by the way the university’s two-pronged approach to the Shepherd affair – the Centa review and a task force that will examine the intersection of free speech and diversity rights – remains opaque. Shepherd herself was nominated to the task force, but the Graduate Students Union then decided its president would represent “all voices” of graduate students – this at the same time she expressed support for how the “lived experiences of transgender and non-binary students” have been discounted in the Shepherd narrative and acknowledged that harm has been caused to some students. Then the Nov. 30 deadline for applying to sit on the task force was extended, and pleas from Laurier professor David Haskell, for instance, to publicly post the applications hasn’t yet seen results. Haskell, a digital media/journalism associate professor, was also alarmed by MacLatchy’s recent appearance on TVO’s The Agenda (the same show that aired the controversial Peterson debate). Host Steve Paikin asked directly if MacLatchy thought Shepherd did anything wrong, and the Laurier president dodged the question. Also on Wednesday, MacLatchy issued “a message of support for the LGBTQ2 community” in which she pledged the school would remain a safe and engaging place for all students. Andrew Robinson, associate professor and program coordinator of “Human Rights and Human Diversity” at Laurier, says he is troubled by the fact that the complaint process doesn’t appear to explain the Centa review. Under the school’s 29-page “gendered and sexual violence policy and procedures,” students can either disclose an incident of violence, make a report or file an official complaint. Only the latter two methods appear to generate a paper trail. Shepherd was summoned to a meeting the week after the tutorials with her supervising professor, Nathan Rambukkana, her program co-ordinator, Herbert Pimlott, and Adria Joel, acting manager of the school’s “Gendered Violence Prevention and Support” program. At the meeting, which Shepherd recorded, she was told she had legitimized Peterson’s view by not first denouncing it (“it basically was like … neutrally playing a speech by Hitler…” Rambukkana famously said), was identified as “transphobic” and told that she must not show any more controversial videos in class and that she should submit her lessons plans to Rambukkana in advance. Shepherd later released the entire recording publicly, and once people heard with their own ears the condescending and hectoring tone of her professors, there was a huge outcry both on and off campus about her treatment and the university’s dubious commitment to the principles of free speech and debate.